1. Keep your pet inside. The easiest way to prevent your pets from getting lost this Independence Day is to keep them inside. If you are having a big party or just a small get-together with friends, make sure someone is always aware of where your pets are. If you know that your cat or dog likes to run out the door the first chance it gets, consider putting them into their kennel for the duration of the party or get-together. 2. Check your pet’s collar for accurate identification information. Did you know that more pets get lost on the July 4th holiday than any other day of the year? Now is a great time to update your pet’s ID tags with accurate information. Include your name, your pet’s name and a current phone number on your pet’s ID tag. Even better, have your pet micro-chipped, which increases your chances of finding your pet if they become lost. 3. Keep all alcoholic beverages away from your pets. Independence day celebrations usually include the three B’s: BBQs, beach and booze. Keep alcoholic drinks out of reach from your pet at all times. Even a small amount of alcohol can do damage. If you suspect that your pet has ingested alcohol, call your vet immediately. 4. Keep all flammable objects away from your pets. Charcoal from the BBQ pit. Sparklers for the kids. A fire to roast marshmallows. 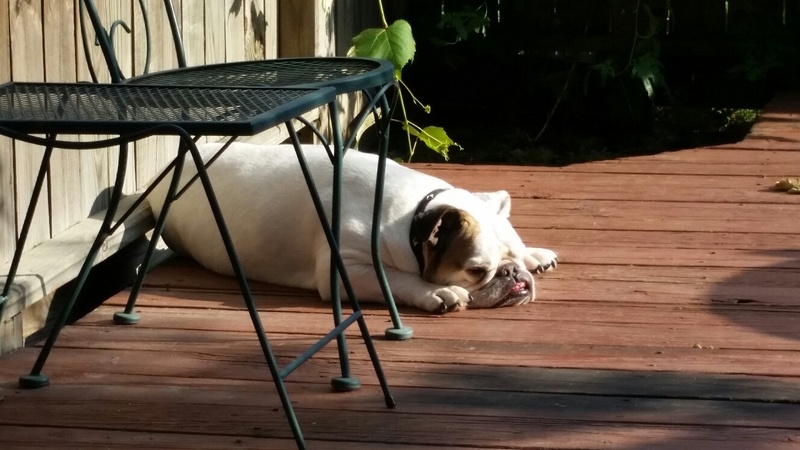 Keep your pets away from all types of open flames or heat sources, including BBQ pits, fire pits and even sparklers. Encourage your guests to play with your pets away from any flames. 5. Keep your pets distracted during the fireworks. While fireworks can be fun to humans, these spectacles are just loud and sometimes scary noises to your pets. The best way to help your pets get through a night of fireworks is to distract them. Turn your television on low to help drown out any firework noise, and offer treats to help keep them busy, such as a squirrel dude stuffed with frozen pet-safe peanut butter. Give your cats a new toy to play with, or a new post to scratch. From all of us at the Houston SPCA, we hope you have a fantastic Fourth of July weekend! Categories: Houston SPCA | Tags: Cat, Cats, Dog, Dogs, Education, Fourth of July, Fourth of July Pet Tips, holiday, Houston, Houston Pets, Houston SPCA, Houstonspca, July 4th, Pet Tips | Permalink. Houston SPCA Throwback Thursday – Halloween Pet Safety Tips! It’s our first throwback Thursday here at the Houston SPCA Humane Education Blog! Today we are going to take a look back at our Halloween Pet Safety Tips just in time for October 31st. Happy Halloween from the Houston SPCA! For more information about the Houston SPCA, check out www.HoustonSPCA.org today! Categories: Cats, Dogs, Houston SPCA | Tags: Cat, Cats, Dog, Dogs, Halloween, Halloween Pet Safety, Halloween Pet Tips, holiday, Houston, Houston SPCA, Houstonspca, Humane Education, Pet Tips, Pets | Permalink. 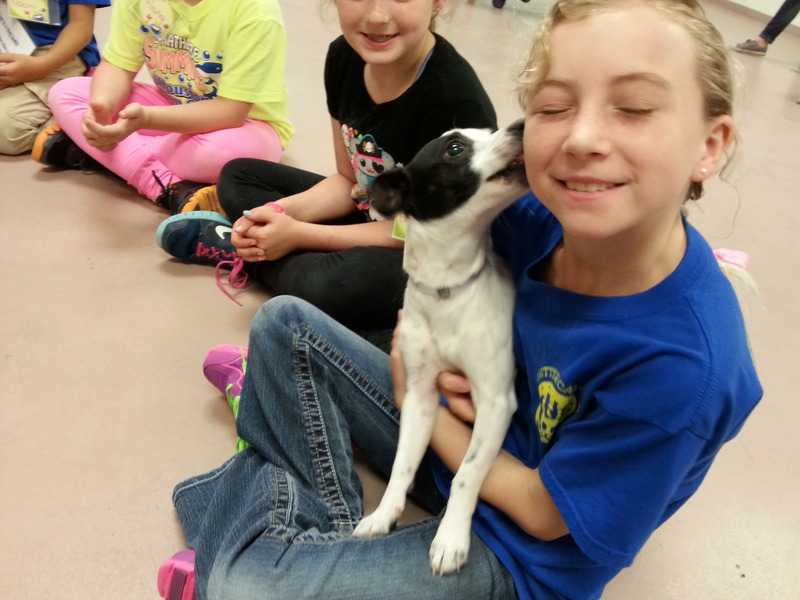 Welcome back to our ‘Getting to Know Your Houston SPCA’ series on the Houston SPCA’s Humane Education Blog! Today, we are interviewing one of the hardest working people I know at the Houston SPCA, our Vice President of Animal Welfare – Tara! 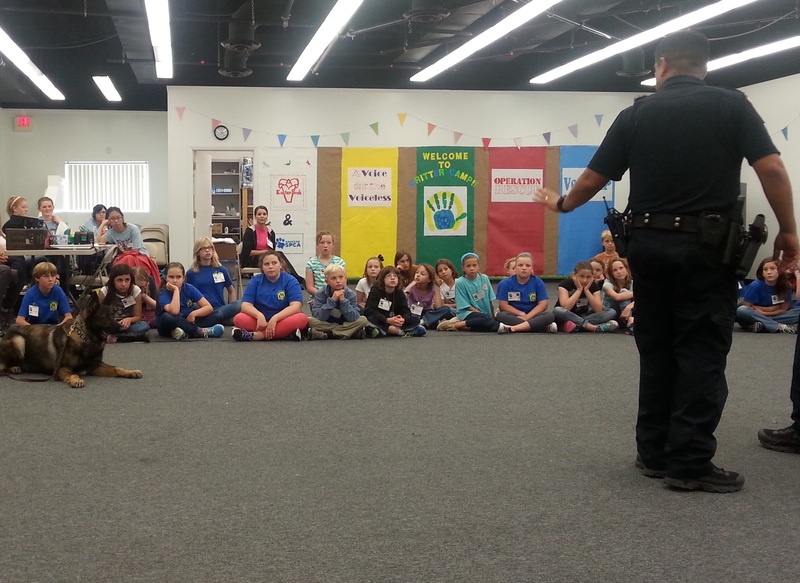 Humane Education Blog: Welcome to the blog, Tara. So glad you could make it! 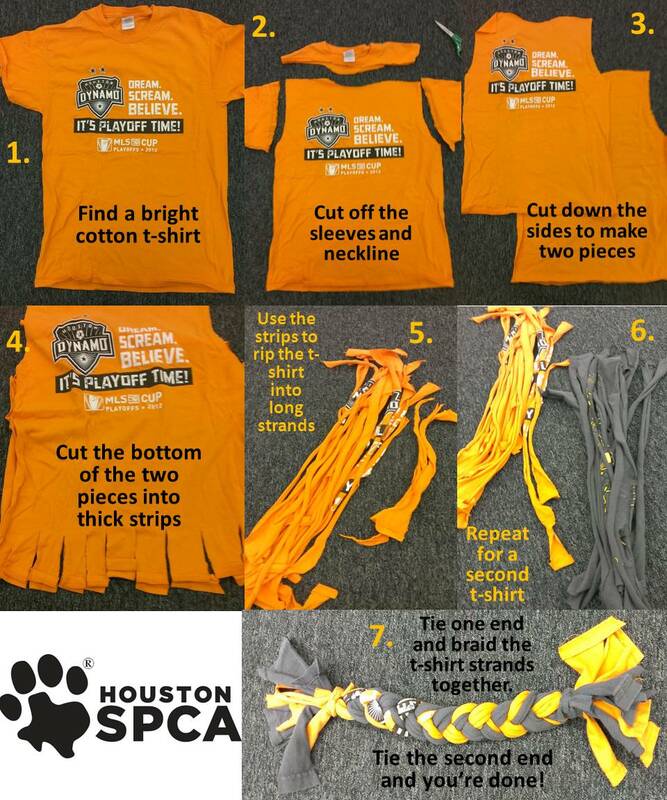 Let’s start with the basics, how long have you worked for the Houston SPCA? HEB: That’s awesome! Could you describe what a typical day is like heading our Animal Welfare Department? Tara: Every day is completely different. There is so much going on all the time. Some days I go out with the rescue team for a large-scale rescue. Other days, I have to go to court to help ensure we are keeping the animals of Houston safe. 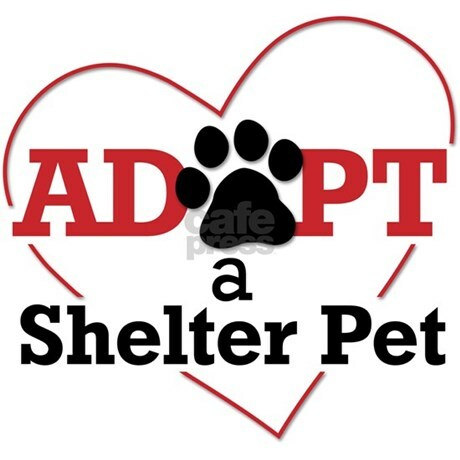 There are administrative duties that I take care of as well as the animal adoption process. It is part of our mission to make sure the animals we rescue find new, loving homes and are adopted as quickly as possible. I really help with whatever is going on at the shelter that needs me. There is no such thing as a normal day. HEB: You must always be incredibly busy! What is your favorite part of your day? Tara: Definitely the surprises. Periodically, I hear someone bringing an animal down the hallway in our offices and it is so much fun to see around the corner and meet the animal that is walking by. HEB: How does it feel to work for the Houston SPCA? Tara: It feels amazing to be a part of an organization that changes the lives of animals and humans every day. HEB: After a long day at work, what music do you turn on while driving home? HEB: Do you have any pets at home? 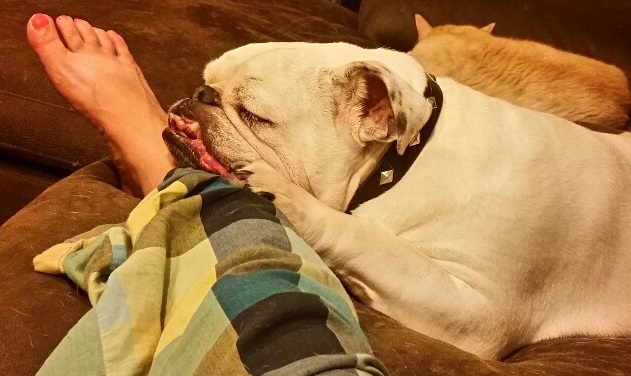 Tara: I have an English Bull Dog named Sherman and 4 cats named Max, Sampson, Deacon, and Pudge. 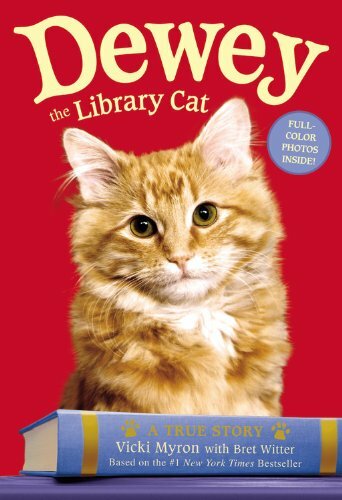 HEB: What is your favorite animal-related book? 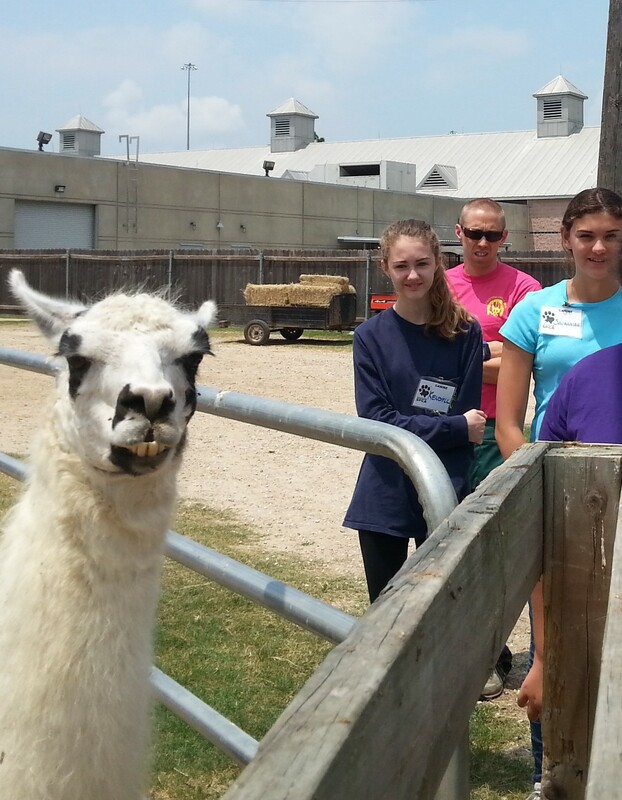 HEB: What was the most unusual animal you have worked with at the Houston SPCA? Tara: Definitely Betsy the bear. I had the amazing opportunity to accompany Betsy on her trip to a wildlife refuge in Romania. HEB: What is your favorite reality animal TV show? 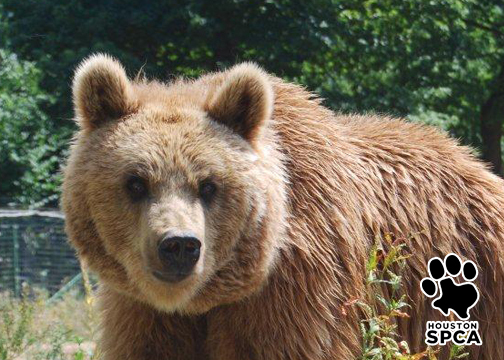 HEB: Last question – a very important question – if you were a bear attending a picnic, what would be your ideal sandwich? Tara: Peanut butter and banana sandwich. 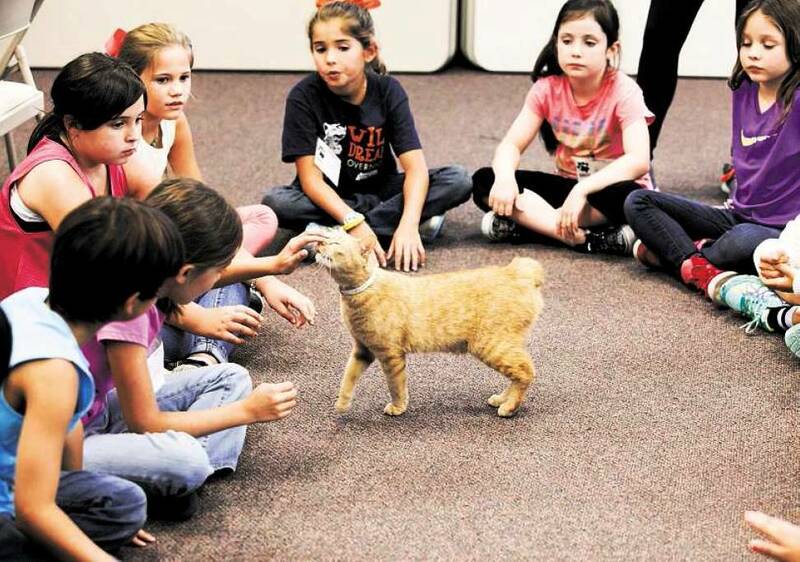 Thank you Tara for taking the time to hang out with the Humane Education Blog today! We know you have to get back to making sure that all of the animals at the Houston SPCA are being given the best care possible and we thank you for everything you do. To help Tara and the Houston SPCA staff take care of sick, injured and orphaned animals, please consider donating today! Just click here. Categories: Cats, Dogs, Houston SPCA | Tags: Animal Careers, Animal Cops: Houston, Animal shelter, Animal welfare, Houston, Houston Pets, Houston SPCA, Houstonspca, Humane Education | Permalink. Hello everyone! 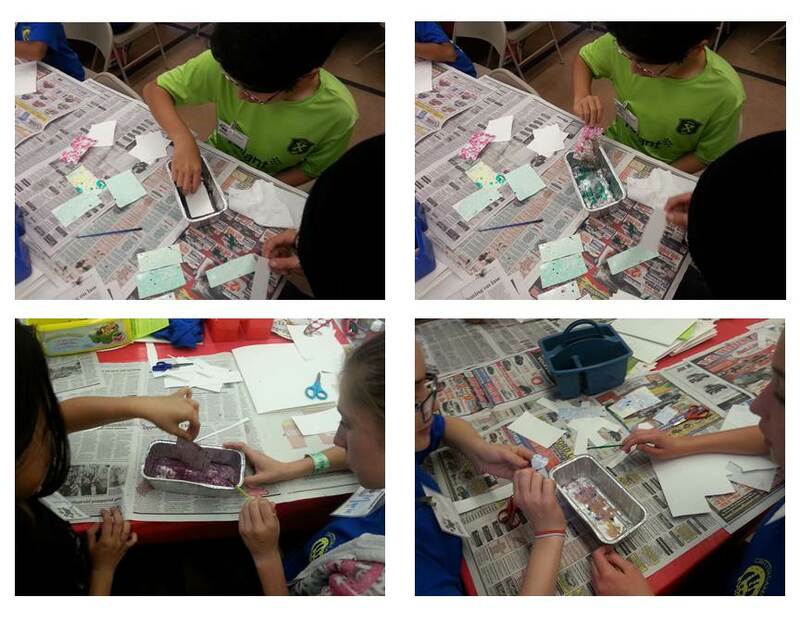 Our Summer Critter Camp is officially underway (update with pictures on that to follow soon!) so I thought I would give a chance to some of our amazing Houston SPCA staff to write some guest posts this summer. There’s a common belief in today’s society that it’s wiser to purchase a dog from a store or a breeder because you “know what you’re getting”, especially if you meet the puppy’s parents or receive the dog’s breeding papers. Many of my own friends and family hesitate to adopt a dog from a rescue or shelter because they assume the dog is “broken”. After all, that’s why their owners gave them up in the first place, right? Truth be told, there are myriad reasons for dogs and cats ending up in shelters like the Houston SPCA. And from my point of view most of them aren’t broken, but have simply run into some bad luck. That’s not to say there aren’t animals who have problems, because sadly there are. I tend to see those as the exception rather than the rule. Owning a pet is hard work. Right from the start there has to be a bond between human and animal, or else all the effort might not feel worth it. And what does that effort involve? There’s the monetary aspect. Animals cost money, there’s no way around it. While shelter dogs might not be as expensive as dogs from a breeder, they still require the same lifelong care. Food, equipment (leashes, collars etc.) and regular vet visits can really add up over the course of a year. And dogs can live for many years! Cats may seem relatively self-sufficient, but they need regular vet visits too, as well as scratching posts, cat trees, litter boxes and as many toys as possible. My family’s cat lived to be 21 years old, how’s that for longevity? Beyond the financial commitment, dogs and cats require us to be active. Dogs need walks several times a day, and cats need to be entertained, too. When I used to pet sit for people in New York City, I would walk their dogs five times a day for 15 to 30 minutes each time. We’d throw in a visit to the dog park every now and again, but only if the dogs themselves enjoyed it. At the end of the day, the dogs would be tired, and so would I! So what does this have to do with “broken” shelter pets? Well, as the Behavior Coordinator here at the Houston SPCA, it’s generally my responsibility to evaluate the adoptability of the dogs and cats who come through our doors. Thankfully, most of the animals I meet are lovely. They’re social, friendly, happy critters who ended up here because their owners were moving or couldn’t afford them anymore or fell ill, or any number of reasons beyond their control. Sometimes, though, I come across pets who have the potential to be social, friendly and happy, but never got the opportunity to blossom. They are usually under-socialized, meaning they startle easily and are overwhelmed by novel situations. The dogs have little to no obedience training and walk like maniacs on the leash. The cats are often skittish and shy away from contact. And both frequently have more energy than they know what to do with, and no productive way to expend that energy. So now they’re sitting (or jumping) here in a kennel, waiting for the right person to come along and give them the chance to be the dog or cat they were meant to be. I know that if some of these animals had been given the option to be good right from the start, they would never have ended up in our care, needing a second chance. I’m just so thankful that there are organizations like ours who are willing to give them that opportunity, and people like you who are willing to try. If you are looking for a new furry family member come down to the Houston SPCA where you can find the perfect pet for you family! You can view all of our adoptable animals online by clicking here: www.HoustonSPCA.org. Categories: Cats, Dogs, Houston SPCA | Tags: Adoption Option, Animal shelter, Animal welfare, Houston, Houston Pets, Houston SPCA, Houstonspca, Second Chances, Shelter Cats, Shelter Dogs, Shelter Pets | Permalink. Are Your Pets Prepared for Hurricane Season? 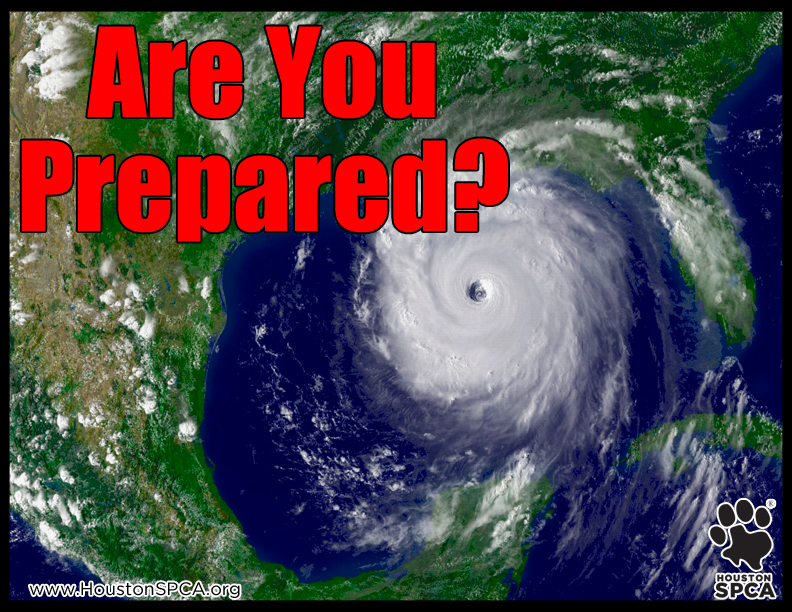 Hurricane season began June 1, 2014 – have you prepared for it? The Houston area has always been prone to hurricanes and strong summer storms and the best way to protect your family is to have a plan in place before disaster strikes. 1. Photograph each pet and store these pictures with other important documents in sealed/waterproof plastic bags. This will help with identification of your pets if they get separated from you. 2. Make sure that all animals are up-to-date on their vaccinations. Keep your vaccination records on hand, in a sealed/waterproof plastic bag. Keep all of your family records safe from water damage by putting them in a sealed plastic bag! 3. All dogs and cats should wear collars and identification tags with current information. Dogs should wear nylon or leather collars only. Never place tags on training collars or choke chains. Cats should wear a breakaway/safety collar. 4. Pack a portable pet disaster kit to include food, water, medication, vaccination records and cleaning supplies. You should plan on enough supplies for at least two weeks. Take your pet’s favorite toy or blanket with you to help minimize his/her stress. You may be scared and worried about what is going on and your pet feels the same way – help them through any situations that may come up. 5. Make sure your pet has a safe traveling carrier that has been labeled with your emergency contact information. To make sure that your pet is ready to evacuate, train them using your traveling carrier. Getting them used to their carrier will help save time and your pet will be more comfortable. 6. If you must evacuate, take your pet with you! Never leave a family member behind! If conditions are unsafe for people, they are unsafe for pets. Pet owners should identify an evacuation route and make temporary housing arrangements before a storm hits. This often means finding a boarding facility or animal shelter outside of the evacuation area and in the area where the family will be staying. 7. It is particularly important to plan for horses and farm animals. Their size, shelter and transportation needs make planning crucial. For more information on what you should do to help keep your animals safe this hurricane season, visit www.HoustonSPCA.org. 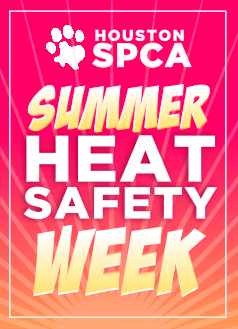 Keep your pets safe and have a wonderful Summer! Categories: Cats, Dogs, Houston SPCA | Tags: Disaster, Disaster Preparedness, Evacuating with Pets, Houston, Houston Pets, Houston SPCA, Houstonspca, Hurricane, Hurricane Season, Pet Tips | Permalink.